In the previous articles we coded packet sniffers in python using raw sockets. Now lets use the libpcap library for the same. Libpcap is the packet capture library for linux and has wrappers for most languages. In python there are multiple libpcap wrappers like pcapy, pypcap etc. 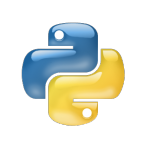 In this article we shall use the pcapy python module. Pcapy is a Python extension module that interfaces with the libpcap packet capture library. Pcapy enables python scripts to capture packets on the network. Lets code our sniffer right away. print "Available devices are :"
First the script would list out the available devices and then ask the user to enter the name of the device that is to be sniffed. Alternatively lookupdev function can be used to find a sniffable device without asking user to select anything. The packet contents are also broken down and parsed. The script can parse only TCP/UDP/ICMP packets. How can i sniff the TCP optionals? Fot example timestamp. Got this error … any reasons ? i got the same error!!!! help plz!!!! Hello, I tried the same, but it keeps getting timed out after 60 or 70 loops. Why do u think this may be happening ? great tutorial. I have reused this code but I have noticed an anomaly about packet loss. I have created a new question on Stack Overflow in order to solve this problem. did you ever get it working ? Is it possible to capture traffic on more than one devices? Any recommendations to handle TCP fragmented data? Thanks, but I get an error while installing on Mac. ImportError: No module named Pyrex.Distutils. Any ideas? Sure cj. So you’ll need to install the Pyrex module on your local box. This is real good and understandable thanks !